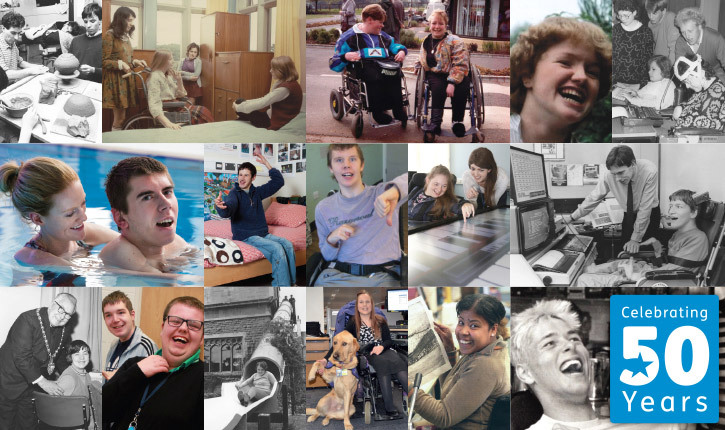 Explore the fascinating history of National Star and discover how we’ve been realising the aspirations of people with disabilities for incredible 50 years. In the 1970s The Star Centre was renamed The National Star Centre for Disabled Youth to reflect the fact that students came from across the UK. In the 1980s the number of National Star students increased to 100 and Joanne Slade became the first student with complex disabilities to pass her RSA typing exam. In the 1990s two former students won medals at the 1992 Summer Paralympics and National Star received a Regional Training Award. In the 00s National Star launched its independent travel training programme, opened new accommodation in Gloucester and created a student advocacy service. In the 10s National Star is graded Outstanding by Ofsted, builds two StarBistros and opens long-term residential provision in Cheltenham. In 2017 National Star’s mission is to realise the aspirations of people with disabilities through personalised learning, transition, support and destination services. National Star has achieved a great deal in 50 years of supporting young people and adults with disabilities – but there is still so much to be done.